A very professional builder. They are full service company that starts the process with a concept, design, material selection and finishing with project management to home completion. They have full time sales staff that works with you to come up with a design that meets your needs and budget. Another huge plus is that they have material show room onsite that allows you select every detail for the home. But if want to chose other options that they don't have on-hand they are very accommodating. They have a very detailed contract that really spells out exactly what you are getting from day one. If you do have a change during the build they are very organized at documenting the changes and the costs or savings to the initial contact. The contract does also contain a completion date which is monitored and adhered to. Using DeShano to build our house was really stress free for us and you don't often hear those words about building a home. 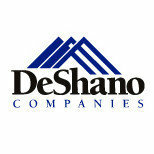 The bottomline is DeShano's entire staff from top to bottom are professional and organized. If we were to build another home DeShano would our first and only choice.